New video and Strategic Plan for the the Marine Studies Initiative! Marine science and education on the Oregon Coast has blossomed into one of the fastest-growing sectors in the state and region. Contributing to this success are years of proactive, forward-thinking economic development centered on the Oregon Coast’s strengths. Now, Oregon State University's plans to expand its marine programs on the coast are at the leading edge of an extraordinary university initiative championed by OSU President Ed Ray. 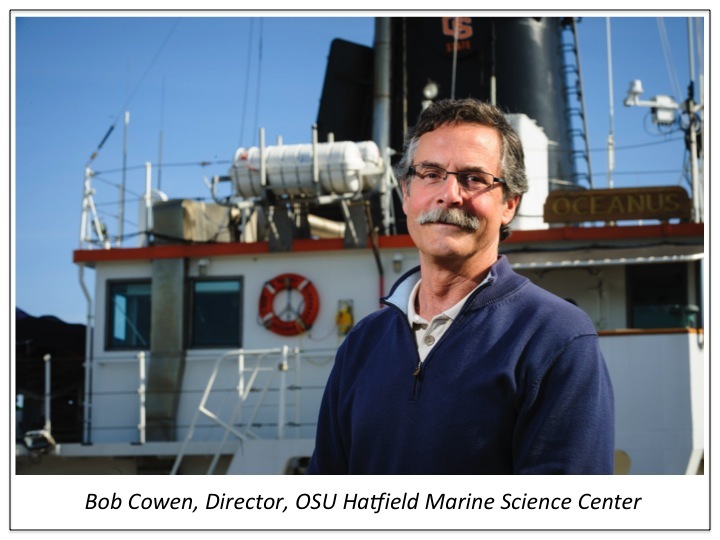 The Marine Studies Initiative positions OSU, and Hatfield Marine Science Center, to increase our stature as a premier institution in transdisciplinary research and education in marine studies ranging from science and engineering to arts and humanities. Central to the new Marine Studies Initiative is the Marine Studies Building in Newport – a 100,000 square foot facility for teaching and research at Hatfield Marine Science Center, supporting 500 students and associated faculty and staff. Now, we are asking for your support. Challenged with a $20 million matching pledge, OSU aims to raise $1 million from the coastal community toward this dramatic expansion of OSU’s Hatfield Marine Science Center. Your investment in our shared future will help make the Marine Studies Building a reality. Click on the Make a Gift button, or contact us. You can reach the Hatfield Marine Science Center Director’s Office at 541-867-0212 or by email, or the OSU Foundation at 541-737-5495. Download a flyer for more information about the Coastal Community Challenge, or see the HMSC Community Drive for information on employee giving options. The OSU Foundation is a 501(c)3 non-profit corporation.